Hello Everyone and Happy April! I hope that you all are post ice-out, and thinking open water fishing as much as I am. To me, April fishing is all about the new fishing year. Here in New England we are blessed to have a wide variety of fishing options in April including freshly stocked trout, bass, pickerel, early stripers, migratory shad; with an even wider variety including pike, walleye, and musky based on where you are fishing. If any of these are your intended target, here’s a few things to think of each time you approach the water to help get dialed in. If you want to target panfish, bass, and pickerel I suggest you start in an area where you can fish a variety of cover in a short amount of time. By doing this early in the day, it will help you plan how to break down the rest of the water into areas to fish hard, and those to ignore based on features and structure you found that produces best. Fish wood cover, weed edges, gravel bottom to sand transitions, and docks to see where you get the most, and best quality bites and fish. Note where the most fish are concentrated, and you will know where to focus your attention as you fish your way around a body of water. Eliminating water that will not be holding fish is a great way to maximize your results on the water in the early Spring. If you were surprised to see shad mentioned in a list that included pike or musky, then you probably haven’t caught one yet. I used to think that it wasn’t worth the time chasing what is essentially a big baitfish. Once I hooked one that all changed. Shad do not like being caught as much as any other fish I have caught. They are drag-screeching, multiple-run making river rockets. They know how to use the current of the rivers they live in, and often times will be fought all the way in to your feet only to race away one hundred yards in a flash. The best part is that you can catch more in a day than you can count, or care to. The best times are from the middle of April to the middle of May. It’s a great way to get kids excited about fishing for the upcoming year. 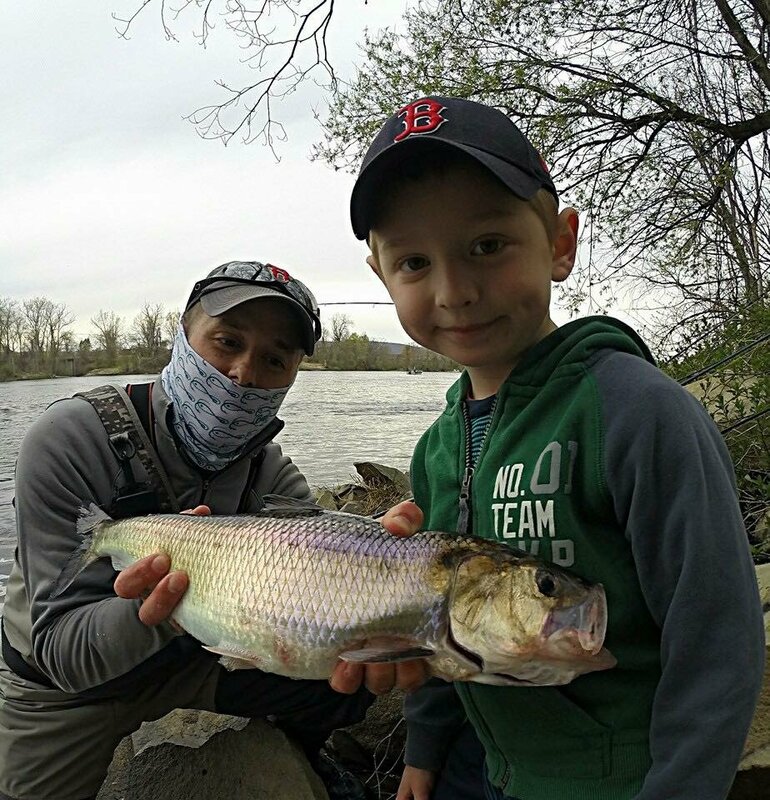 Spots all along the Connecticut River are great for fishing for shad. Google “shad dart” and you will be on your way to finding the best lures or flies to use. Thanks for reading. Stay healthy, stay safe, and tight lines everybody!